angus.org To view complete pedigree page and EPDs, click on the provided link and Reg. # in Animal Search Box at the top right-hand corner of page. Weigh Date: 4-10-19, 1233 lbs. Our Double Vision herd sire has Sitz Upward on the bottom side. As you walk through the bull pen it's easy to pick out the Upward grandsons. They're thick all over with style. R-427 did quite well coming from a second calf cow. He weaned off at 759 lbs. @ 212 days and likes to follow me around - seems to think I've got the grain bucket. 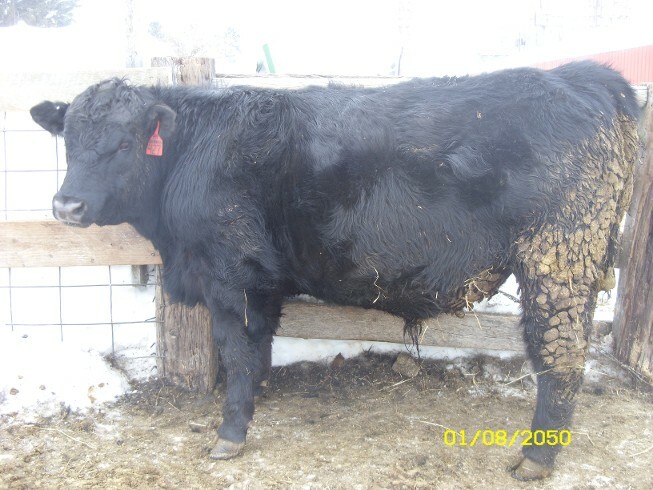 EPD"S show calving ease with real nice growth through weaning and right into the feed lot.